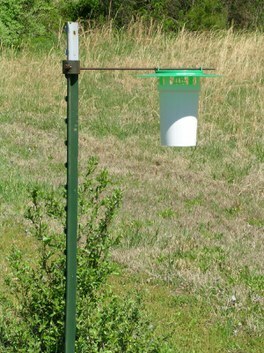 Wing trap hung 4 feet off the ground in a nursery. 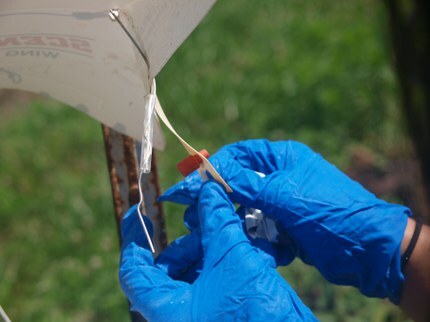 Ethanol trap for granulate ambrosia beetle monitoring. 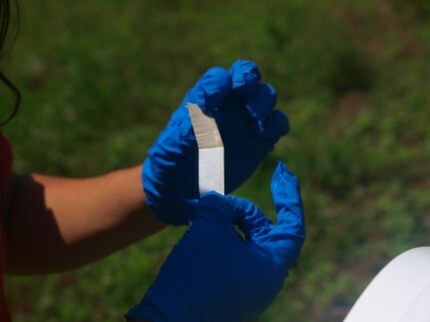 Peeling the sticky backing off a pheromone lure to place in a wingtrap. 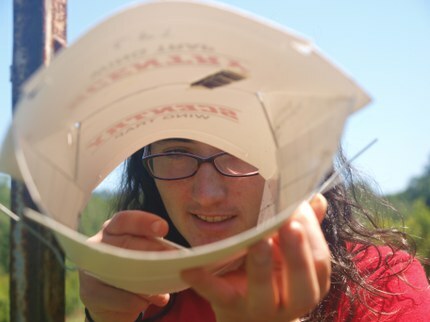 Changing the pheromone lure in a wing trap. 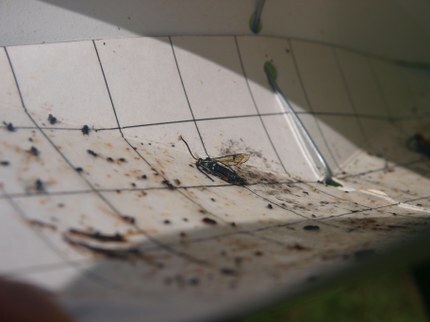 First emergence or first trapping of a peachtree borer in a wingtrap. 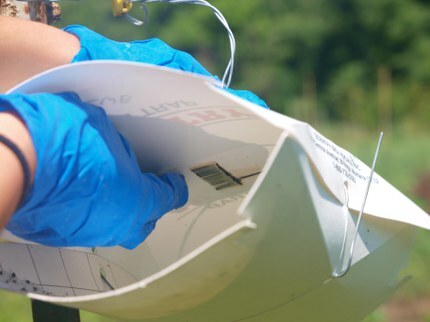 Counting and removing insects from a wing trap. Peachtree borers in this case. 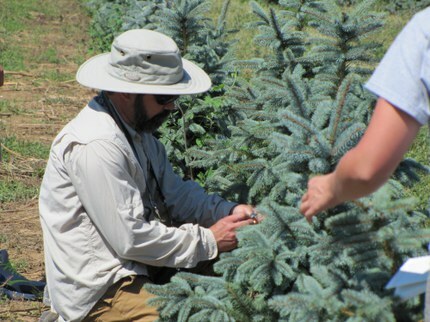 Using beat sheets and 7x, 10x or 16x handlens to scout conifers and look for mites. 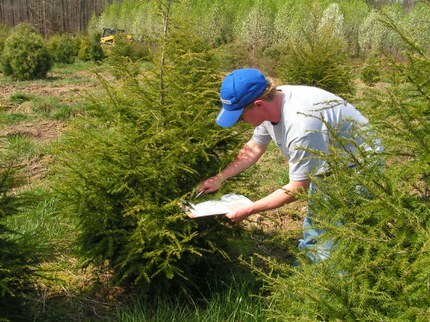 Using a beat sheet to scout hemlocks for mites or scales. Herms, D. 2004. 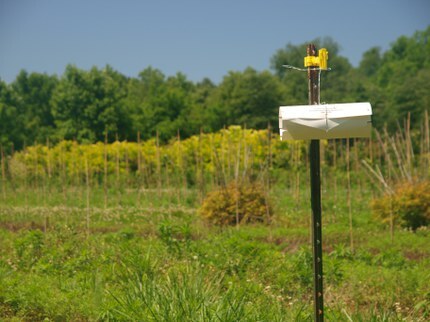 Using degree days & plant phenology to predict pest emergence. Green et al. 1990 Systematic approach to diagnosing plant damage. Griesbach et al. 2011. Safe procurement and production manual. A systems approach for the production of healthy nursery stock. Lebude and Fulcher (eds.). 2015. Pest Management Strategic Plan for Container and Field-Produced Nursery Crops in FL, GA, KY, NC, SC, TN, and V A.
Sadoff, C. 2011 Developing an IPM program for Nurseries. Purdue Univ. Ext. 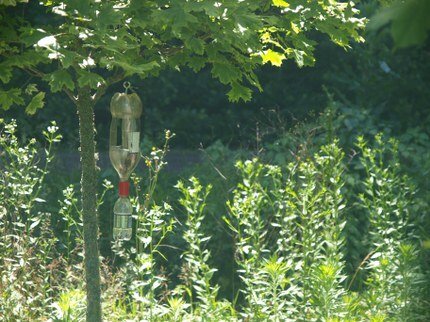 Biological calendar for plant and insect phenology in Wooster, Ohio. Grieshop, R. Sampling as part of IPM.